Samsung Galaxy Watch Active specs have surfaced online. 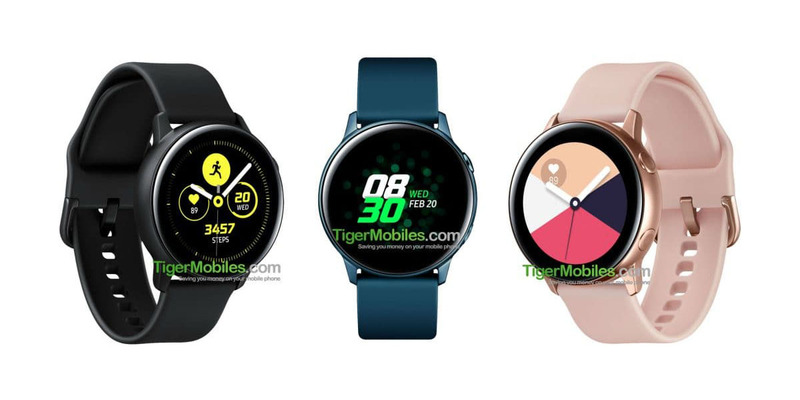 Thanks to firmware files first spotted by XDA Developers for a Tizen 4.0.0.3-based smartwatch codenamed ‘Pulse,’ we now have more information regarding Samsung’s rumoured, upcoming smartwatch. First and foremost, Samsung’s wearable will feature the model number ‘SM-R500.’ Strangely enough, 2017’s Gear Sport featured the model number SM-R600. Additionally, the wearable will feature a 1.3-inch circular display with 318 dots-per-inch and a 360 x 360-pixel resolution. It is also tipped sport an Exynos 9110 chipset, 230mAh battery, NFC, GPS, microphone, heart rate monitor, speaker, sleep monitoring, stress monitoring, always on display, Bixby, Glove Mode, Samsung Pay and Bluetooth 4.2. Previous rumours suggested that the Galaxy Watch Active would be called the Galaxy Sport. Samsung will reportedly unveil the Galaxy Watch Active at its Unpacked Event alongside the Samsung Galaxy S10 series on February 20th.